Do you have a daughter with ADHD? I usually begin my reviews about “discovering a book”. With this book, Focused by Alyson Gerber the book found me! As I was walking though a Barnes and Noble store, my eye immediately caught the cover of this book. With the picture and title, I was immediately drawn to the book. 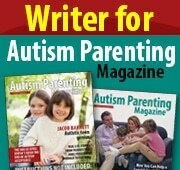 One of my goals in writing, is to share information and wonderful resources for parents and children. For girls with ADHD, this book Focused is a mandatory read! From the moment I picked it up and started reading it, I became connected to the young girl, Clea who struggled with inattentiveness, impulsiveness and friendship challenges. I also recognized her creativity, good heart and commitment to being a good friend and big sister throughout the book. “Clea can’t control her thoughts. She knows she has to do her homework…but she gets distracted. She knows she can’t just say whatever thought comes in her head..but sometimes she can’t help herself.” ADHD affects girls differently than boys. This book is an ideal example of what it’s like to go through a diagnosis of ADHD. Focused takes the reader on Clea’s journey in working through her challenges and finding strategies and tools to improve her life. What I loved about this book is how the author showed how ADHD affects all areas of life including academics, social skills and executive functioning. Clea struggles to stay organized and focused but can hyper-focus on chess, which is her passion. Focused also helps to address myths, such as the misunderstanding that children with ADHD can’t focus at all and that you need to be hyperactive in order to get diagnosed with ADHD. The characters in the book are supportive, attentive and play an integral part in helping Clea. What is most significant is how empowered Clea becomes towards the end of the book with embracing herself, her ADHD and becoming a confident young girl that can advocate for herself. This book is not just helpful for a young girl with ADHD but also a wonderful book to read as an adult. Parents need information as well and often misunderstand ADHD. Focused also addresses learning differences such as Dyslexia and speech and language delays and disorders. Alyson Gerber did an excellent job with the author’s note of the book. She explains why she wrote the book and how she struggled with ADHD growing up without a formal diagnosis. As a reader, I can tell that Alyson wrote this book from her heart with the intention of reaching other girls with ADHD and helping them from diagnosis to living a wonderful life with ADHD. Do you want to learn more about ADHD? Check out Alyson’s resources here with links to purchase a signed book! Looking for more books about girls with ADHD? Check out my post here.